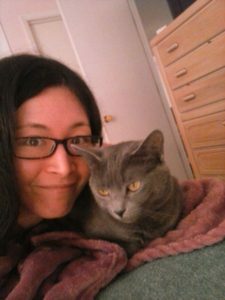 About Jess and some website history. 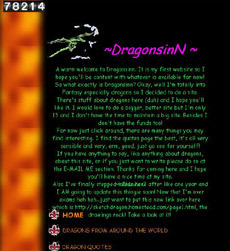 I wanted to make a website when I was 12, and “dragons” was my first-choice subject. Almost 20 years later (how did that happen?! 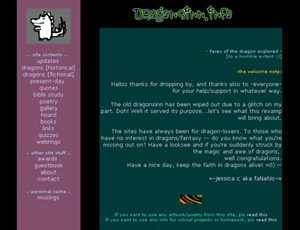 ), I revamped the dragon website for the third time. Now it is finally optimized for viewing on mobile browsers. Freedom and forever. Power, grace, rebirth, passion, focus, intelligence. Reading, writing, cooking, art, design, bikes, yoga, swimming, nature, personal finance. It started back in June 1999. This site was built with Web Studio. In April 2003, the website was redesigned on Dreamweaver. In October 2006, I updated the black background to a white background. I didn’t update the website for several years as I had a lot going on during my mid to late twenties. 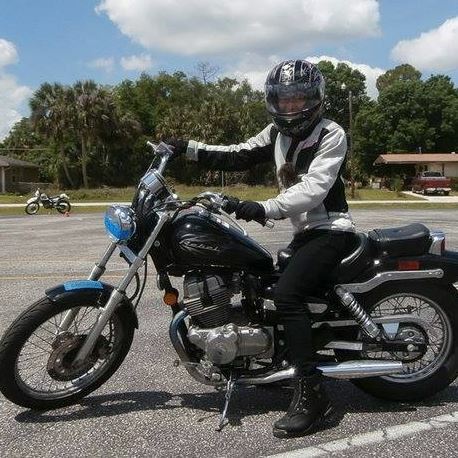 In my early 30s, I moved to Florida (and experienced my first hurricane!). The 2018/2019 version is a big overhaul in terms of design and new content. P.S. Website header image by Freepik and several social media images by VectorStock (standard license). 1999-2002: My first 7-page website. Made in Singapore. Website: 2003-2005. Updated in Singapore. Website: 2006-2018. Made in Maine. 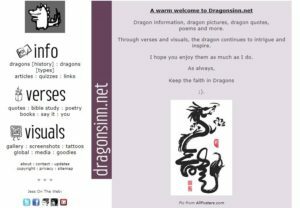 FREE SHIPPING CODE – Get a free shipping coupon for our Dragon T-shirts!